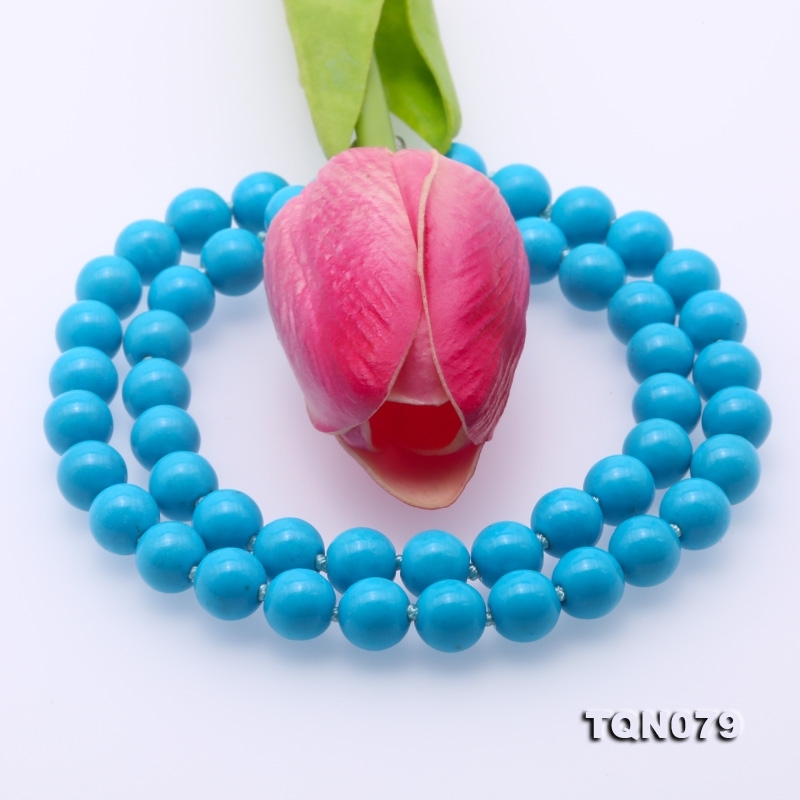 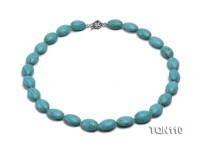 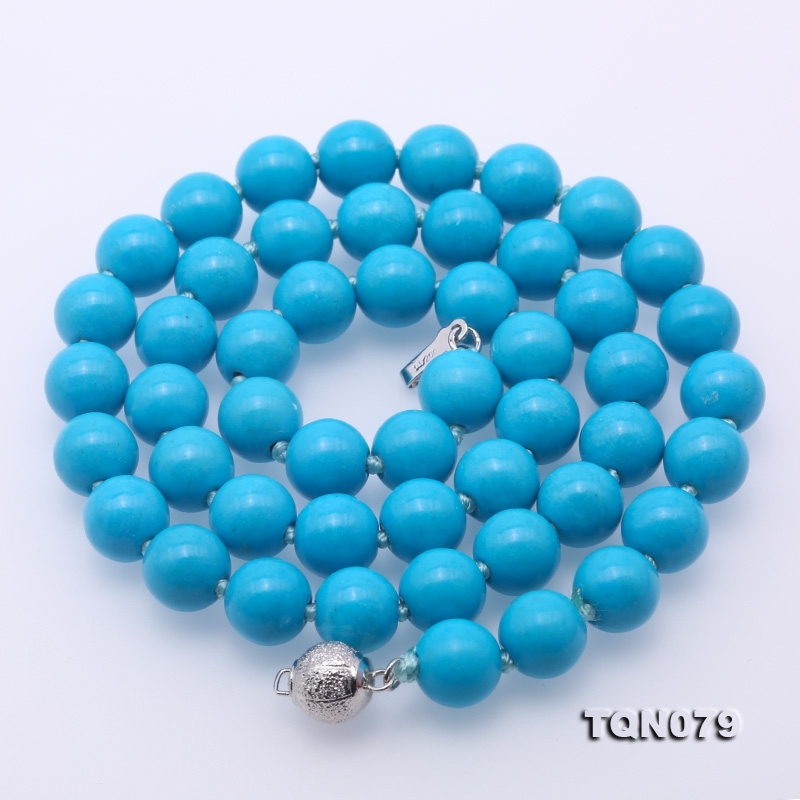 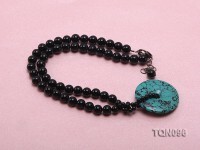 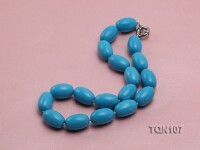 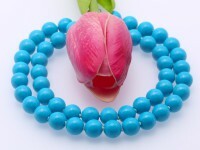 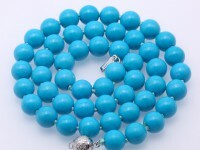 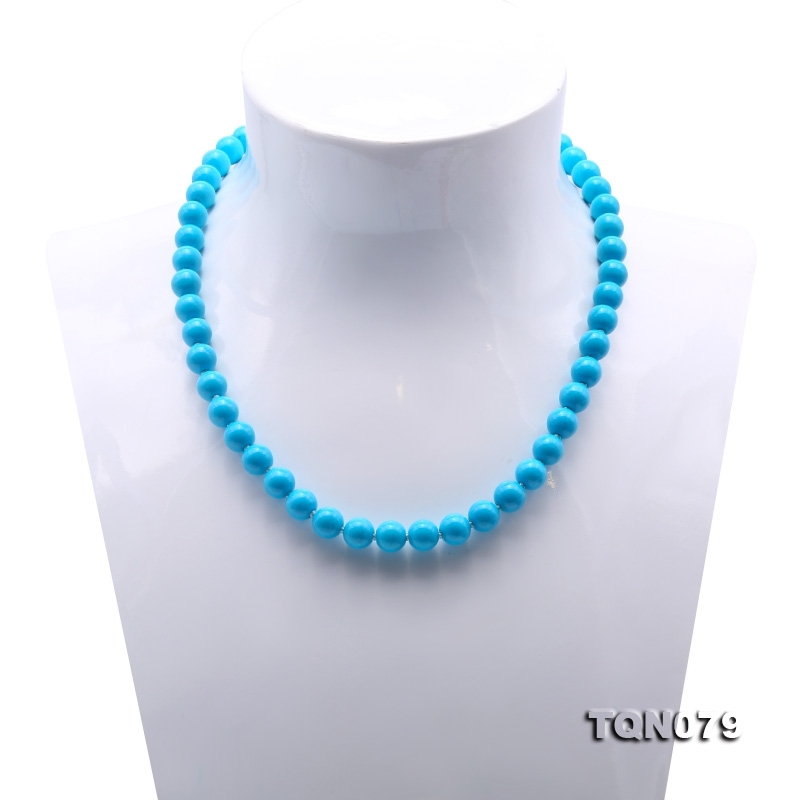 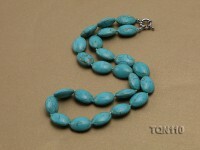 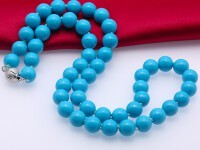 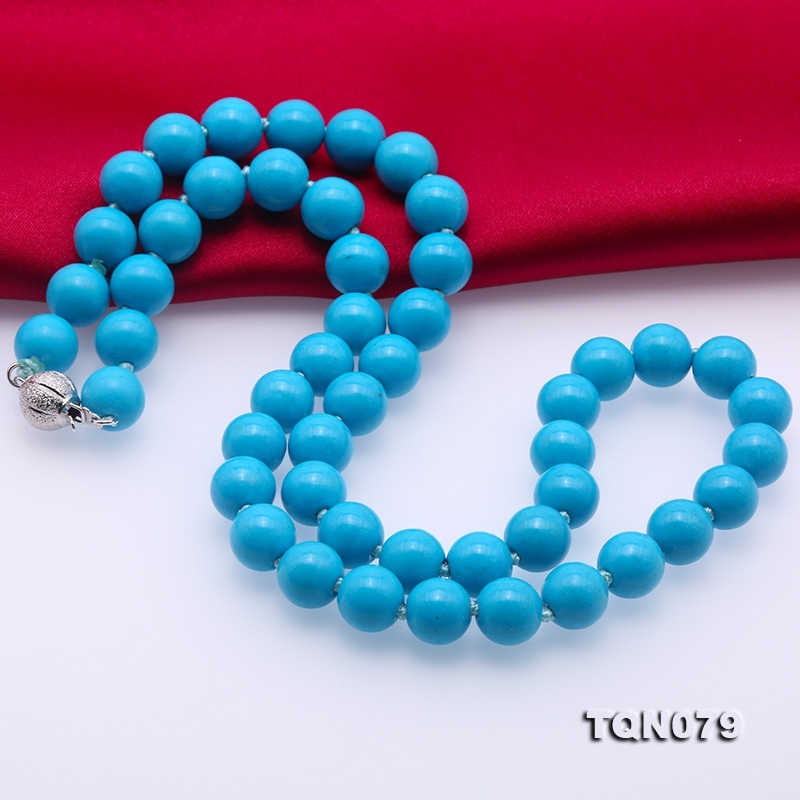 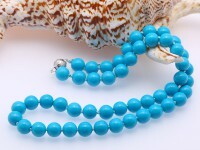 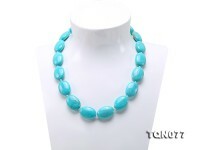 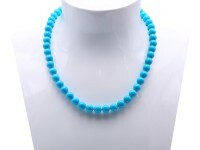 Elegant blue turquoise necklace, made with 8.5-9mm round turquoise beads, measuring 19 inches. 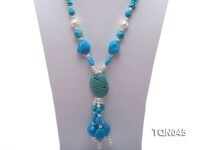 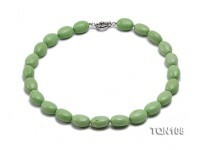 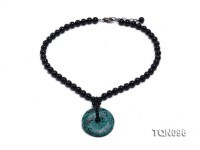 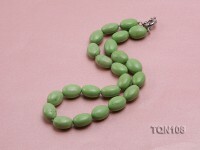 The necklace is professionally handknotted between every two beads. 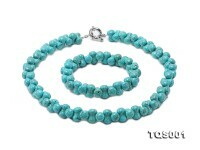 The turquoise is ancient, yet again and again it finds itself back in fashion. 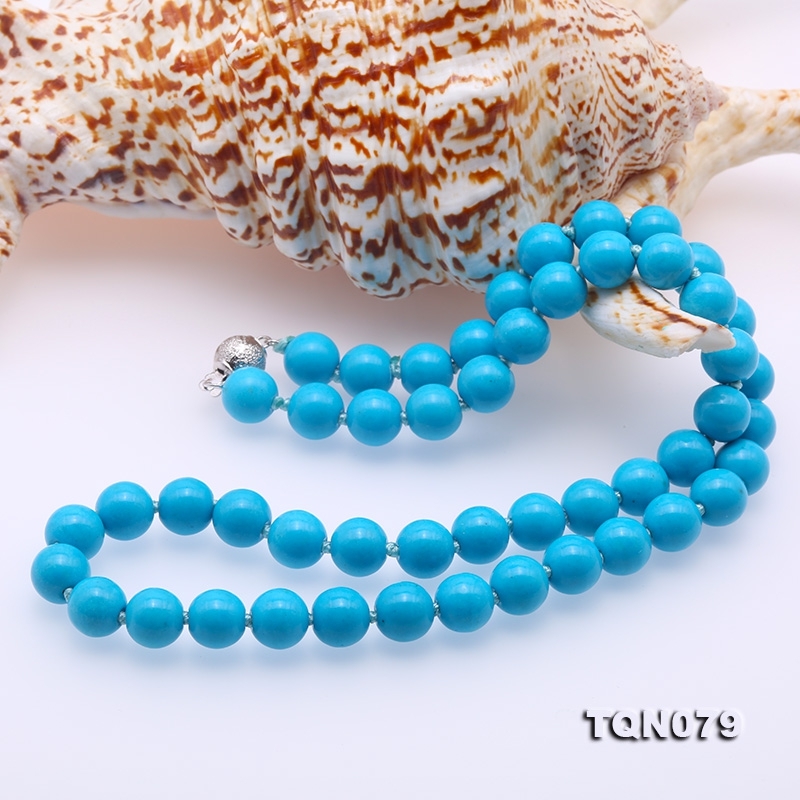 Its shining sky blue or greenish shade of cyan is one of the most popular trend colors in the world of jewelry and fashion. 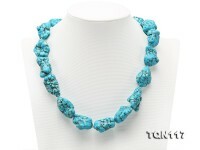 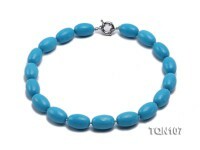 The pastel shades of turquoise have endeared it to many great cultures of antiquity. 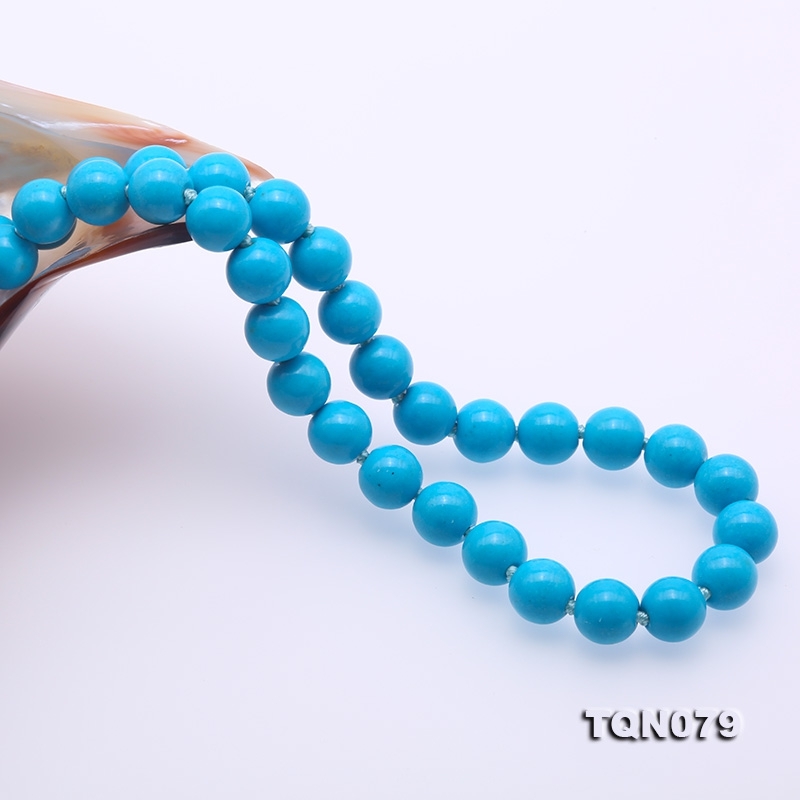 A common belief shared by many civilizations held that turquoise possessed certain prophylactic qualities; it was thought to change colour with the wearer’s health and protect him or her from untoward forces.